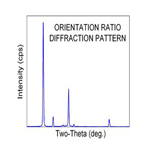 Lambda provides XRD phase analysis using internally developed software and diffractometers. 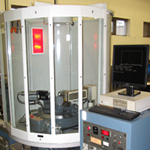 Our testing systems are specifically designed for phase analysis to guarantee accurate results. Diffractometers are calibrated to NIST standards and all testing is done to ASTM and SAE standards where applicable. Lambda’s experience provides the ultimate data quality and support to our customers.